What’s the relationship between faith and learning? Should higher education be aimed at career readiness, or at nurturing students’ minds and spirits to embrace a multi-vocational understanding of their lives? 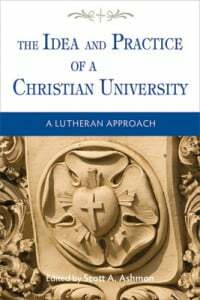 New from Concordia Publishing House, The Idea and Practice of a Christian University argues for a return to unashamedly Lutheran higher education for the greater good of the Church and society. A closer look at this holistic vision reveals the blessing of two key doctrines at work: the two-kingdom lens of God's power and grace along with the teaching of vocation. Voices from across many campus departments combine their passion for reform with academic expertise, history, and reasoned reflections. Rev. Dr. Scott A. Ashmon is Director of Core Curriculum at Concordia University Irvine. He is also Associate Professor of Old Testament and Hebrew. 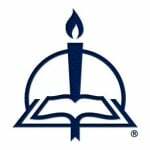 Contributors include Russell Dawn, Jeff Mallinson, Steven P. Mueller, Korey D. Maas, Bret Taylor, Mary Scott, Cindy Steinbeck, James V. Bachman, Jack M. Schultz, Roderick B. Soper, Michael E. Young, Christopher “Kit” Nagel, Kerri L. Tom, Peter Senkbeil, Jonathan Ruehs, Scott Keith, Gilbert Fugitt, and Timothy Preuss.